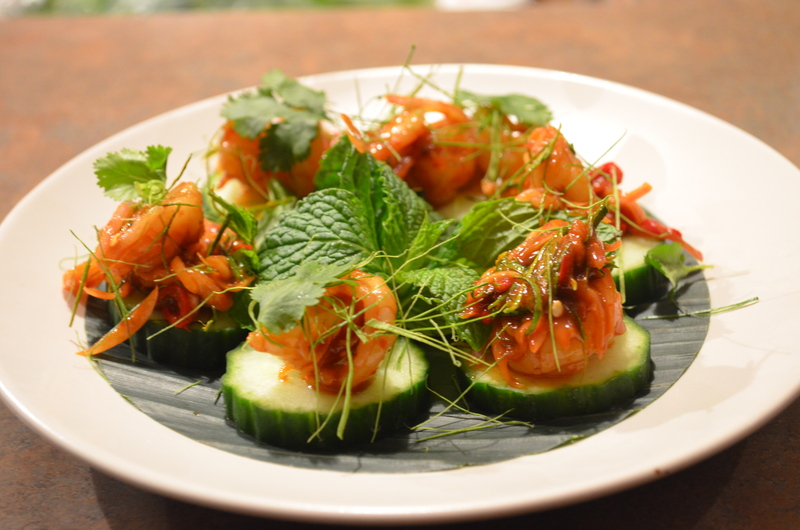 Our second presentation this week is another flavorful Thai salad “Plah Goong” on cucumber. This traditional Thai salad use chili jam to be part of dressing and add more fragrant aroma with herbs used in Thai cuisine are kaffir lime leaves, lemon grass and mint. 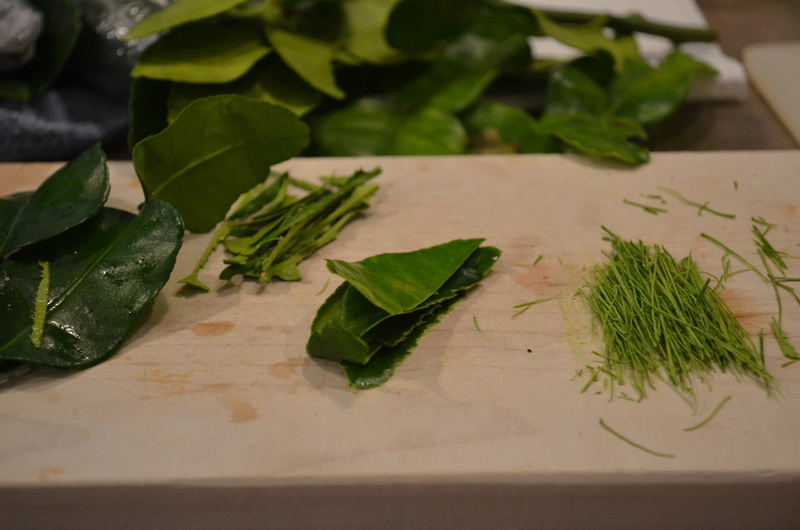 Simple preparation, a key is fresh herb ingredients and I hope you will like these unique flavors. 1. 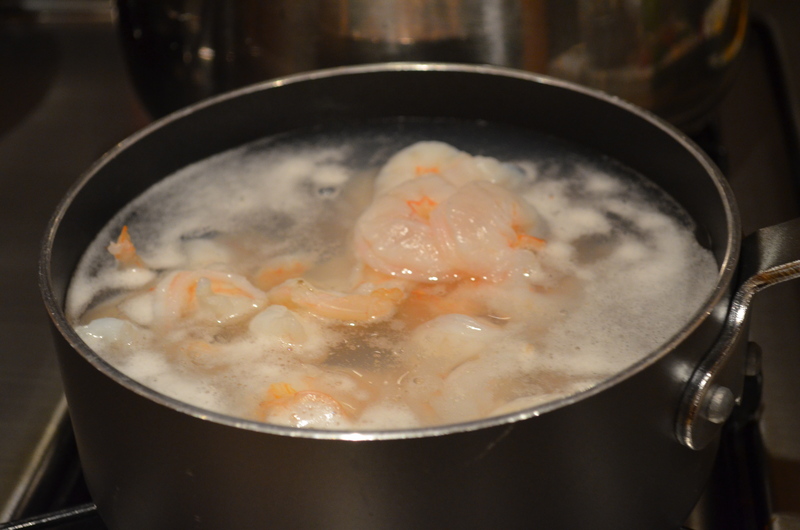 Cooking prawns by blanch in boiling water, drain well. 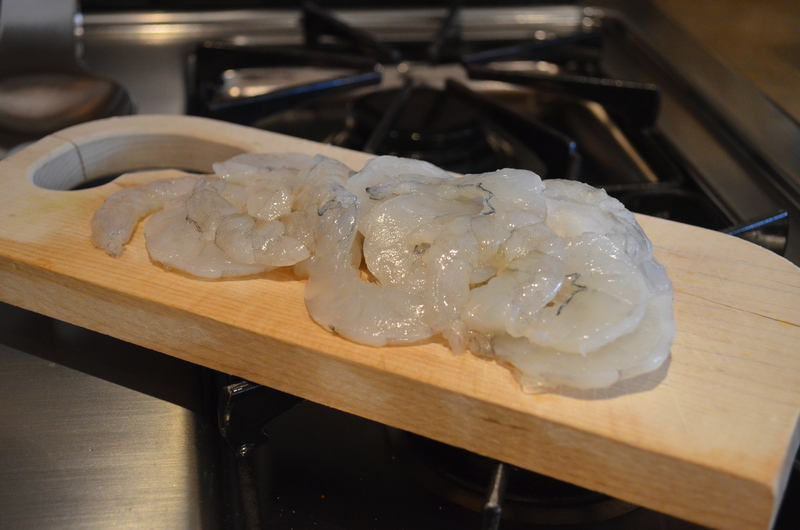 (Steam and grill as your preference) transfer to a bowl. 2. 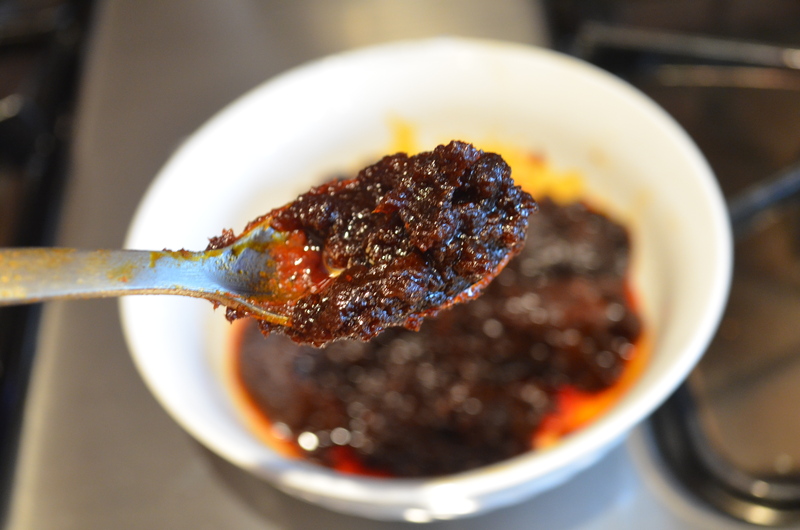 A mixing bowl combine roasted chill jam, fish sauce, lime juice, slices chilis and mix well. (Roasted chill jam if keep in the fridge you might need to warm it first to make it more easy to combine). 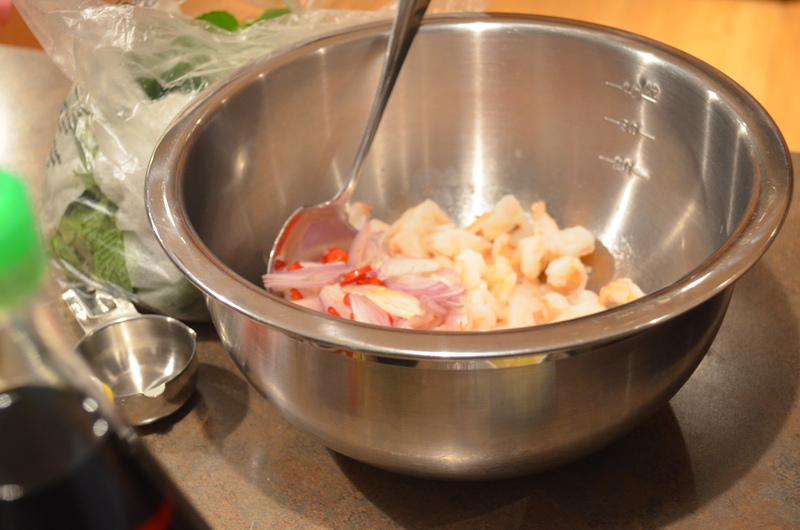 Add cooked prawns, shallots, lemon grass, and gentle toss ingredients together. 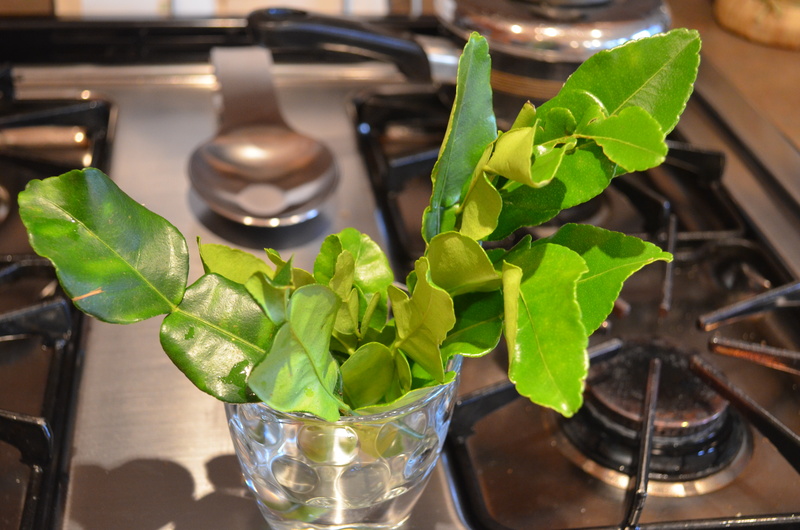 *Using fresh Kaffir lime leaves is much essential for many dishes of Thai cuisine including “Plah”. 3. 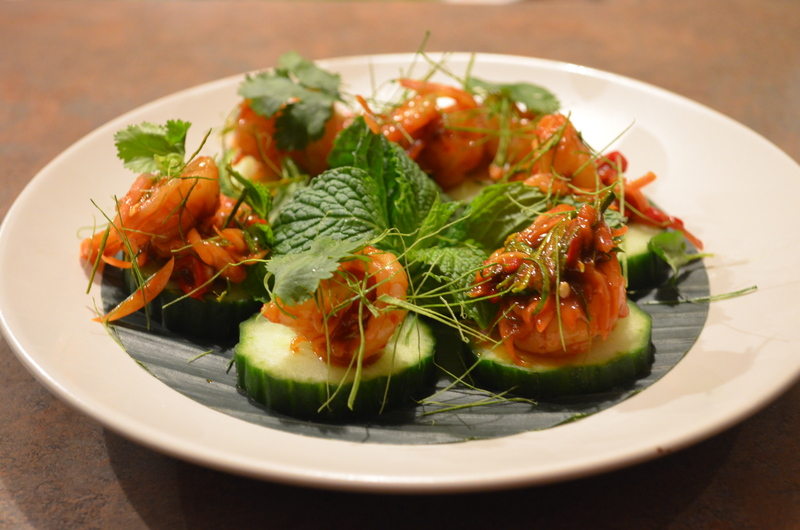 Array chill cucumber on a plate, then top each slices of cucumber with a piece of prawns, garnish with fine slices kaffir lime leaves, mint and coriander.